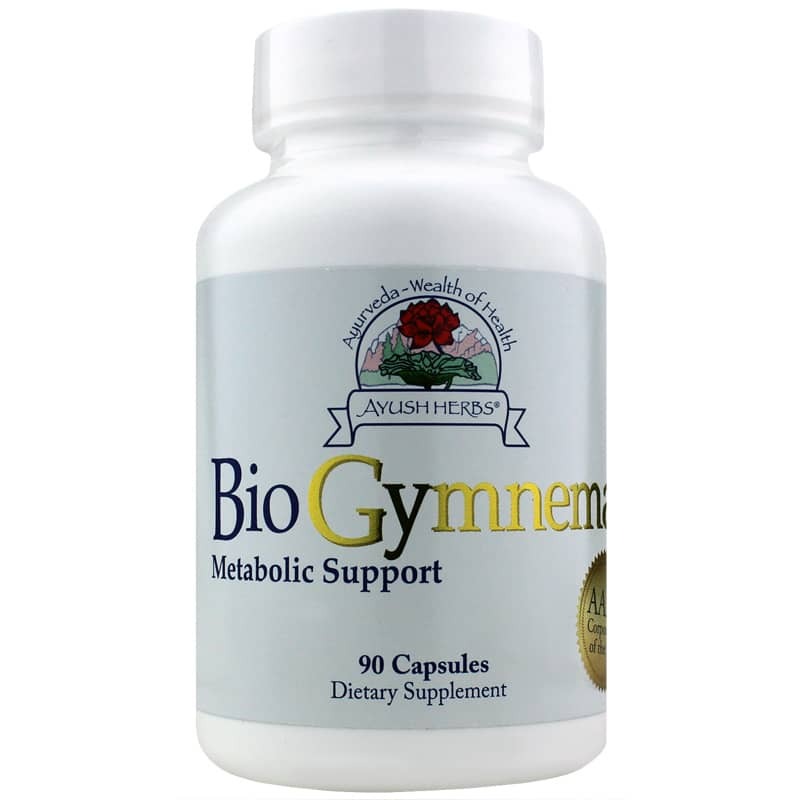 BioGymnema™ by Ayush Herbs is an herbal supplement that seeks to provide ayurvedic support for healthy metabolism. Ships tomorrow if you order in the next 24 hours 5 minutes. Ayush Herbs' BioGymnema contains key herbs that are known in ayurvedic tradition for supporting the maintenance of healthy blood glucose levels already within the normal range. As one of ayurveda's staple herbs, Gymnema sylvestre has been used for millennia for this purpose. Pterocarpus marsupium may support the pancreas, which is where insulin is produced. 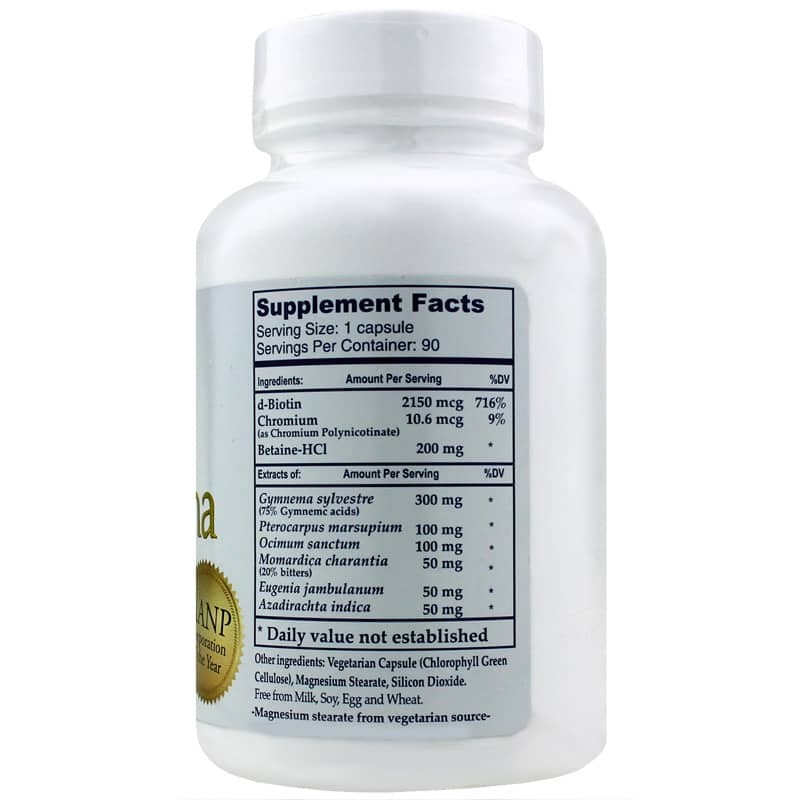 Azadirachta indica, or neem, is also known for this type of blood sugar support. If you're looking for an herbal supplement that may help you maintain your already healthy blood sugar levels, consider Ayush Herbs' BioGymnema. Experience the potential benefits of this natural supplement for yourself! Other Ingredients: vegetarian capsule (chlorophyll green cellulose), magnesium stearate (vegetarian source), silicon dioxide. Contains NO: milk, soy, egg and wheat. 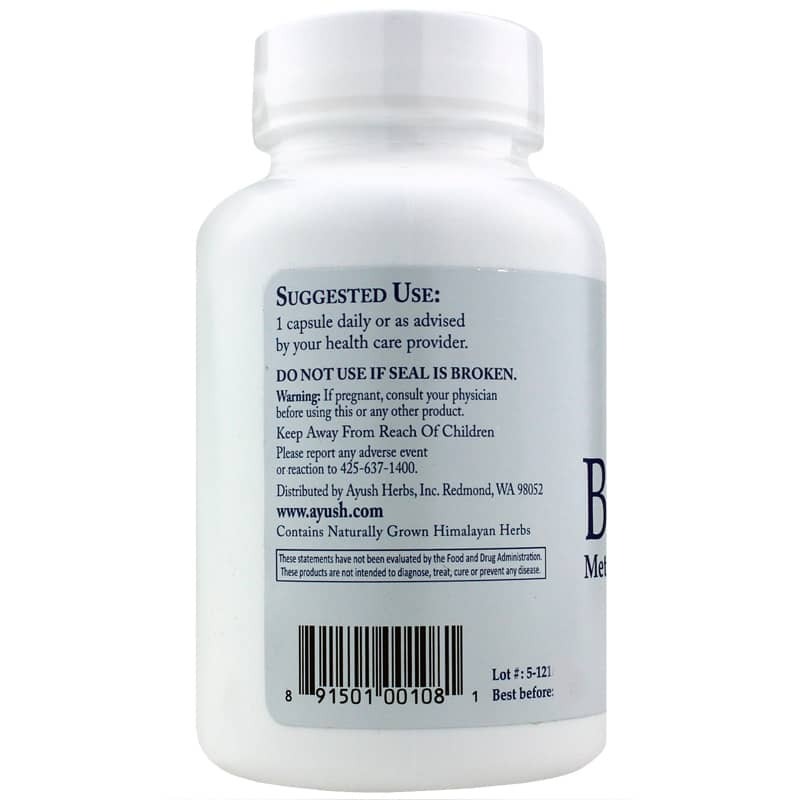 Adults: 1 capsule once daily or as recommended by a healthcare professional. If you are pregnant or nursing, please consult your physician before using this product. Keep out of the reach of children.